Dr. Hassan graduated from Jacksonville University in 1969 with a degree in Biology and International Affairs. He attended medical school at the University of Valencia, in Valencia, Spain, graduating with a degree in medicine and surgery. 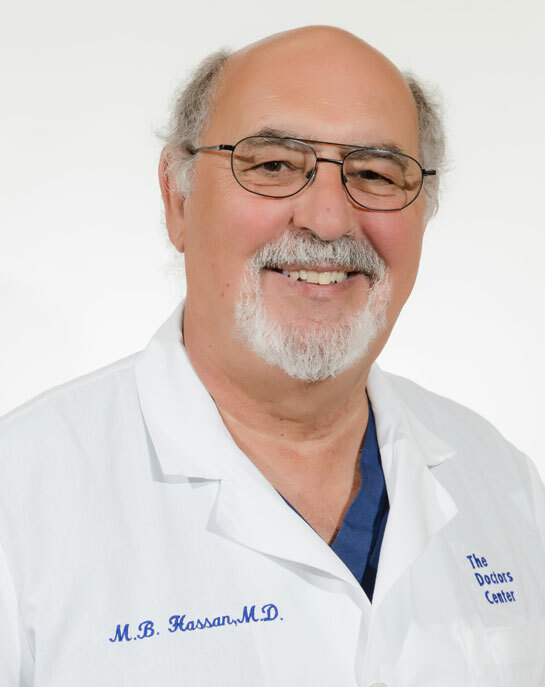 After graduating from medical school in 1977, Dr. Hassan returned to Jacksonville, Florida and completed his residency program in emergency medicine at the University of Florida, Jacksonville Campus, in 1981. He was a chief resident and upon completing the residency, he taught emergency medicine for 3 years at University Medical Center, Jacksonville Florida, a hospital associated with the University of Florida. Eventually, Dr. Hassan was recognized for his knowledge in emergency medicine and stellar administrative skills with an offer to become the Chairman of the newly created Department of Emergency Medicine for Jacksonville-based Methodist Hospital. During his time there, he was part of the team that organized and built a new Emergency Department, modernizing the delivery of Emergency Medicine at the hospital. He also served as Fire Surgeon for the Duval County Fire and Rescue Department and was appointed by the Mayor of Jacksonville to the Hospital Authority Board. In 1987, Dr. Hassan established The Doctors Center and The Doctors Center Mobile Health Services. Since starting The Doctors Center he has opened three office locations and added Pediatrics and Rheumatology to the practice. In addition to serving on numerous professional medical boards, Dr. Hassan has delivered numerous lectures, published several articles and participated in several hands-on educational courses and conferences. Dr. Hassan is also a respected, local businessman with interests including real estate, construction and information technology. Dr. Hassan continues to develop and use his own dedicated EMR system, eWebDR, to help manage patient records and day-to-day operations for each office location. Recently, he created an Occupational Medicine EMR system, Xpressexam, specifically created to meet the needs of organizations performing DOT examinations, employee drug and alcohol screenings and other occupational medicine services. He enjoys spending time with his family and grandchildren and is heavily involved with charitable organizations around the world.